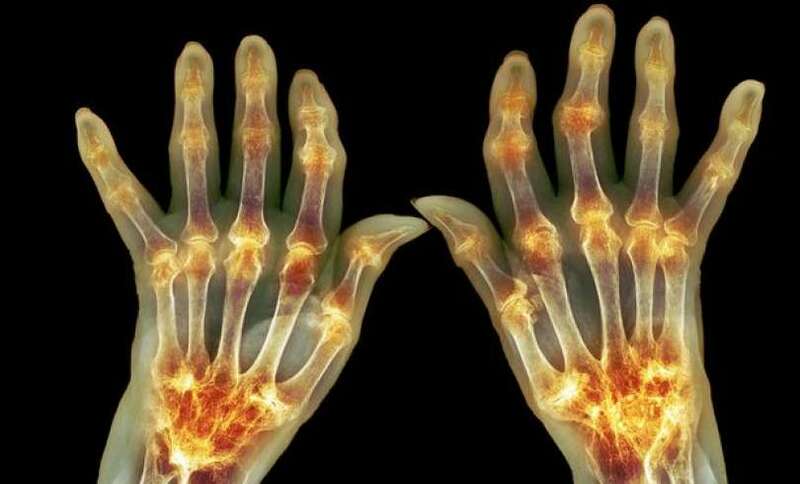 In a clinical phase-3-study, an international research cooperation of MedUni Vienna and Stanford University has achieved significant success with the drug Baricitinib for the treatment of rheumatoid arthritis. The test persons exhibited significantly less symptoms of the disorder. The results are now published in the top scientific journal New England Journal of Medicine. The worldwide first clinical phase-3-study with the Baricitinib inoduced significant success in the treatment of rheumatoid arthritis. Baricitinib is an orally administered inhibitor of Janus kinase 1 and 2. This kinase is an inrarcellular enzyme which is activated when extra-cellular messenger molecules, e.g. interferons or interleukin-6, are docking onto cells, thus triggering the events leading to the inflammatory response. The study which was sponsored by Eli Lilly and was led by MedUni Vienna and Stanford University (USA), was conducted over 24 weeks and comprised a total of 527 persons. The test persons were patients who had previously unsuccessfully undergone many conventional treatment therapies, including one or even several biologic agents. The participants were divided into three groups, one with a daily dosage of 2 mg of baricitinib, one with 4 mg and a control group with placebos. The result showed that the test persons who had received baricitinib exhibited significant improvements of their symptoms. They suffered of less pain and joint swelling and composite measures of disease activity improved extensively. The group with the 4 mg dose showed even better results than those with the 2 mg dose, compared to the placebo group. The adverse event rates were comparable to those known of biological therapies. Rheumatoid arthritis is a chronic autoimmune deficiency which predominately occurs in women (approx. two thirds of the affected persons) and which strikes most frequently at an age between 40 and 70 years. It causes inflammations in the joints. Swelling, overheating and function limitations are the consequence. Without treatment, it leads to the increased destruction of joints and the bone near the joints, consequently resulting in mal-positioned bones, deformations and increased permanent disability.